Tones the nervous and hormonal systems. Tones the nervous and hormonal systems and as boosts natural defenses. It also has anti- bacterial and antifungal properties. Elixirs & Co is a specialist in natural wellness of high quality products. Our essential oils are 100% pure and natural. They come from wild plants or organic crops from around the world. Their cultivation combined with an extremely rigorous manufacturing process guarantee quality to provide optimal well-being. Breathing: 3 to 5 minutes to renew several times a day as needed. Spreading: In the atmosphere with an essential oil diffuser (sessions of 10 to 20 minutes per half day). 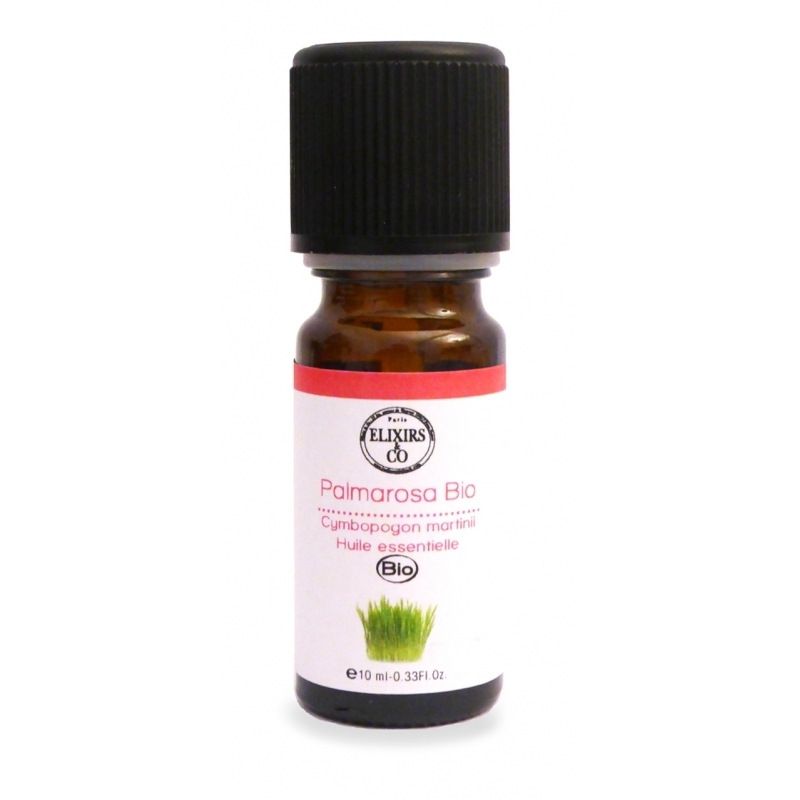 - Massage: Diluted to 5% in a vegetal or/and organic oil or in a neutral base massage oil. - In the bath, previously diluted in a neutral base or non-foaming bubble bath (about 5 drops of essential oil for a botle cap of a neutral base). Internal: 1 drop in a scoop of fatty substance (such as oil, butter and so on..) to incorporate in your food (1 time per day). Essential oils are highly active substances that have to be used with precautions. - Do not use for infants and children less than 36 months without medical advice. - Do not use during pregnancy or while breastfeeding without medical advice. - Avoid contact with eyes. Accidental projection on the eyes, flush the eye with vegetable oil on a cotton or other fabric. - Never add pure essential oil in the nose and ears. - Do not use pure essential oil on the skin or mucous membranes. - Do not pour the pure essential oil in the bath water, diluted beforehand in a neutral base of bubble bath or non-foaming. Not be taken orally, except edible oils and essences respecting the indicated dosages. The use of non-food essential oils orally requires the prescription of a specialist in aromatherapy. Do not self-medicate.In case of accidental ingestion, ingest vegetable oil and contact a poison control center. Our recommendations to promote the proper use of these products. However, this information are presented for illustrative purposes and do not, in any way, constitute medical information, or engage our responsibility. For any use of essential oils for therapeutic purposes, it is necessary to consult an aroma therapist. - Do not use in pregnancy or breastfeeding, or children less than 7 years without medical advice. - Do not use for people with a history of seizures and / or allergic to essential oils. - Not suitable for epileptics.